Intro By Amanda Seales & Brian Alexander Morgan Music By Jonny May, JP Soundz, & Marcel Summer is imminent and with it comes timely vacations, impromptu pool parties, and the triumphant return of sundresses. But lost in all the fun in the sun are the countless non-profit organizations sprinkled throughout the country that keep our communities thriving. 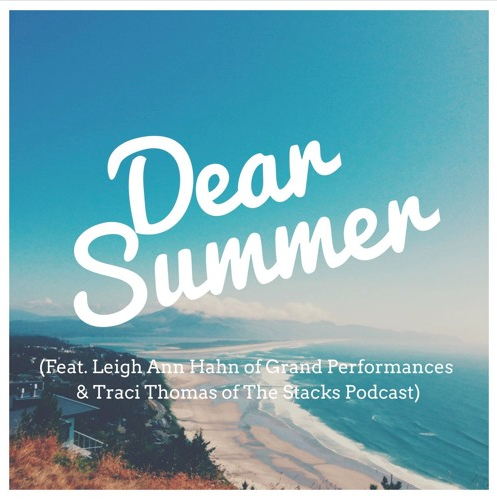 So we're joined by Leigh Ann Hahn of Grand Performances to discuss the important roles that non-profits occupy within our communities, how philanthropy is essential, and why giving should hurt. Additionally, Alex has a new apartment, Jay still hasn't slept, and Rachel Dolezal is the welfare queen Black America refuses to claim. Listen below, or on Apple Podcasts, Stitcher, TuneIn, MixCloud, or YouTube. Get your kleenex ready. For our annual Mother's Day Blackstravaganza, our mothers (!!!!!!!) join us to discuss the many challenges they faced, the sacrifices they made, and even delve into some of their regrets and missteps in raising each of us. 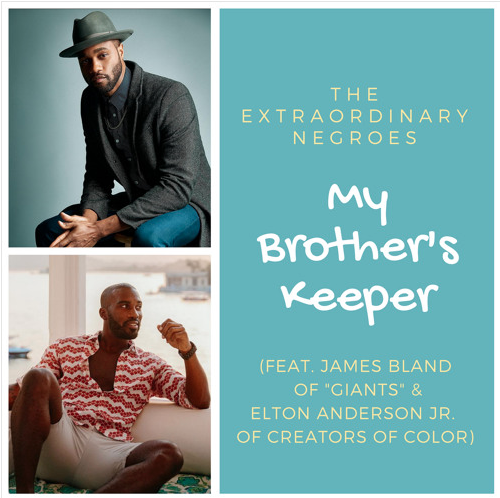 Additionally, we learn who's responsible for Alex's obsession with Janet Jackson, we unveil Jay's sordid cross-dressing past, and you'll get a little bit more insight into just how we grew up to become Extraordinary Negroes. Intro by DJ Suede The Remix God Music By Marcelmakesmusic, Beatkowski, and Vincent Alexander. Don't know anything about cryptocurrency? Guess what? We don't either. So we invited Lamar Wilson, the mastermind behind blockchain company Hijro and the instructor of the Black Business School’s popular “Welcome to Cryptocurrency 101” course, to put us up on game. Additionally, Kanye lost his damn mind, Alex could use some extra gravy, and will Jay be watching football again this season? Listen, comment, and subscribe on Apple Podcasts, TuneIn, Soundcloud, or your platform of choice aaaand leave us a five-star review. A very special episode with two veeeeeeery special guests. Music provided by Michael Trapson, Marcel, & Ghost Beats. Be sure to listen, comment, and subscribe via Apple Podcasts, TuneIn, SoundCloud or your podcast platform of choice. In a unique take on our Writers Symposium series, writers Tonja Renée Stidhum (Blavity, Shadow & Act, The Root, etc.) and Shamira Ibrahim (Very Smart Brothas, Washington Post, etc.) explore their ongoing journeys with depression, anxiety, body dysmorphia, and mental illness. They bravely detail how they sought the support of their friends and family members, how each of them chose their therapists, and what gave them the will to carry on even in their darkest hours. Subscribe to our newsletter. All the cool kids. After its record breaking $235 million opening, you damn right we have much to discuss about this movie. 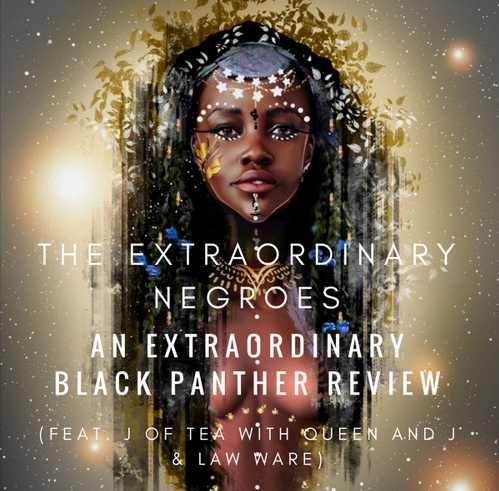 Our favorite womanist race nerd J of Tea With Queen & J joins us and Law Ware makes his triumphant return as well to drop off his 2 cents. Enjoy. Since we’re days away from our legendary block party in Wakanda and our collective excitement about our African heritage is arguably stronger than ever before, we chopped it up with Myra and Delvecchio Parks of The Repat Diaries. A married couple who grew tired of their monotonous life in America and decided to begin a new one in Simba’s backyard, The Motherland. 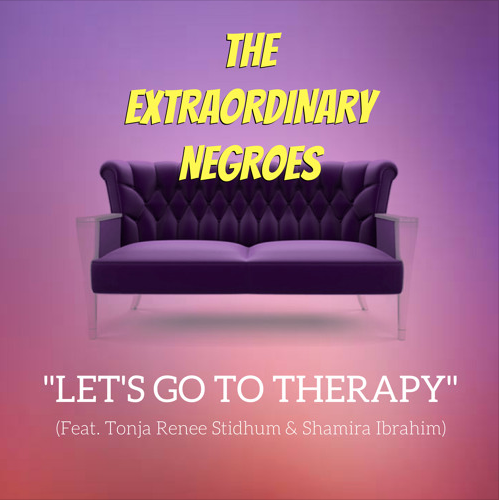 They discuss the challenges of homeschooling their 5 year old son, the cultural differences they experienced in their new home, and the complicated dynamics of being accepted as an African-American by our continental brothers and sisters. Additionally, Alex didn’t exactly have the greatest weekend, Jay visited Wakanda and lived to tell about it, and Black Panther is exactly the movie every last one of us deserve. Music courtesy of IceJJFish, Nimbus Vin, & Little Ry Mu$ic.